Civil Engineering is a broad discipline dedicated to the planning, design, construction, and operation of facilities necessary to meet mankind’s basic needs and desires. The program enables future engineers to tackle a wide variety of problems and to be at the forefront in serving society. 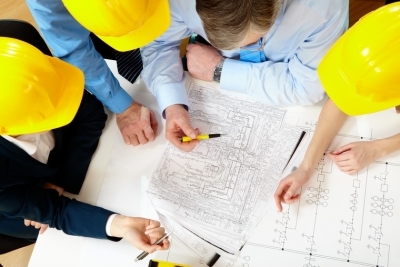 In Civil Engineering, engineers can work in the fields of Design and constructions, design verification, etc. Our curriculum provides students with skills and knowledge of planning, designing building construction and maintenance of civil engineering projects. Graduates from this program can work in international construction & civil companies as a designer, supervisor for construction projects includes building roads, airports, tunnels, water systems and so on. Companies recruiting graduates from HCMUT-Bach Khoa University are Bachy Soletance, Meinhardt, Apave, Aurecon, CPG, Arup, Unicons, Coteccons, Cofico, etc. Option 1: Students study at HCMUT-Bach Khoa University for 4 years and get the Bachelor of Civil Engineering awarded by HCMUT-Bach Khoa University. Option 2: After completing 02 years at HCMUT-Bach Khoa University, students with financial and academic eligibility may transfer to Griffith University (Australia) the later 02 years to complete their study for Bachelor degree. The official bachelor degree is awarded by Griffith University (Australia. The advantage of this option is that the student can save about 50% total fee (tuition fee and living expense) compared to studying for full 4 years in Australia to get a Bachelor Degree awarded by Griffith University (Australia).